This book is the first volume of a 3-volume series. 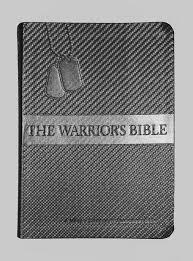 The 52 devotions in this volume were written by an Air Force Chaplain, who served humbly for God and with members of the 433d Airlift “Alamo” Wing, Lackland Air Force Base, Texas, who bravely served at home and in deployed locations throughout the world as they served our Nation during “Operation Iraqi Freedom” and “Operation Enduring Freedom.” These humble devotions were written for military members and their families to encourage them and help them with their spiritual strength. It was important to me to share a Scripture passage with the devotions to keep the troops in the Word. While the role of a military chaplain is not well known to the general civilian population, I have published this series of volumes as a means to reveal the important role that a chaplain provides to military personnel and to their families, in peacetime or during times of war. I shall forever be proud of the time that I served as a chaplain in support of the young men and women who were serving in arms-way. Since a chaplain is charged with bringing spiritual help and direction to ALL members of the military, these devotions were written to support and encourage individuals of different faith backgrounds who were proudly serving the United States of America. Although these devotions were written for the 433d Airlift “Alamo” Wing” personnel during times of conflict, these devotions are equally applicable to members of the military serving during peacetime or wartime. This devotional countdown calendar-journal is meant to be a source of daily encouragement, a place where soldiers and their families can record feelings and events that have impacted them during their deployment experience. It is a legacy of shared courage and sacrifice of and for the outstanding men and women who serve our great nation in military service. About the Author: Sharon Patterson, retired educator, career military wife, and leader in women's ministry, has written inspirational encouragement in various forms, from greeting cards to short stories, poetry, and Bible studies for over twenty-five years. Sharon and her husband, retired Colonel Garry Patterson, are the parents of three grown sons. Two sons presently serve in the U.S. Army. Sharon and Garry reside in Round Rock, Texas. In Stories of Faith and Courage from the Korean War, Larkin Spivey shows real people fighting and living through a difficult conflict and an almost forgotten era of American history. His stories are presented in a daily devotional format with scripture readings each day, revealing both the routine and the astounding ways in which God acts to empower believers and answer doubts. Every person of faith will come closer to God through these pages and religious skeptics will see many of their own questions explored in depth. Spivey also presents a concise history of the Korean War with overviews, maps and photographs giving new insights into why America fought this war and the incredible results over the following decades. Each month a different aspect of the conflict is emphasized, including the early history of Korea, introduction of Christianity, Japanese and Soviet occupations, the different campaigns of the war and the development of the armistice. This unique combination of the front line drama, coupled with the broader historical context of the conflict, gives a picture of war and combat unavailable in other histories. The book features 365 devotionals, one for each day of the year. Each devotional features a 400-450-word story, a relevant scripture, and an application-oriented sentence prayer. Each week highlights five stories that chronicle the Revolutionary War, followed by two weekend features called Weekend Reflection and Sabbath Rest. Weekend Reflection takes a modern-day twist on a topic, such as contentment and life purpose, presented in the preceding stories. Sabbath Rest highlights a sermon from the Revolutionary era. These 52 meaty messages show how scripture is as alive today as it was during America’s founding. These sermons also reveal the spiritual struggle facing the patriots as they decided to pursue independence, take up arms, and overthrow their government. The devotionals come alive through the viewpoints of the Revolution’s key players, such as George Washington, King George III, Samuel Adams, John Adams, Thomas Jefferson, Abigail Adams, Martha Washington, Nathanael Greene, Henry Knox, and Benjamin Franklin. Excerpts from their original manuscripts, letters, and speeches give the book authenticity and accuracy. Unlike many books with historical subjects, this devotional incorporates faith as an important element in the decisions and emotions of these heroes and heroines. It will also show the life purpose of the patriots. The themes presented in the book transcend generations, making the book relevant to modern day readers who also struggle with topics such as loneliness, contentment, purpose, fear, safety, God’s will, jealousy, rivalry, cooperation, and disappointment. As readers consider the meaning of the American Revolution, they may also experience a revolution in their own hearts, one devotional at a time. Stories of Faith and Courage from the War on Terrorism is a 365 day collection of inspiring stories of courage, perseverance and faith based on first hand accounts of more than seventy who have served in the war in Iraq and Afghanistan.Through multiple, never-before-told stories, readers will uncover the personal challenges of the battlefield. In Battlefields & Blessings: Stories of Faith and Courage from the War on Terrorism you'll end the experiences and perspectives of deployed soldiers, chaplains, military wives and parents, organizers of humanitarian ecorts, veterans suffering from post-traumatic stress disorder. Also includes a tribute to soldiers and a soldier's prayer. A must have for every Soldier for maintaining inner strength during a time of intense stress. Debbie Ballagh is the founder and director of Servant's Heart, a ministry of mercy, helps, and encouragement. She earned an M.A. in counseling at Liberty University in Lynchburg, VA and was formerly a social worker and family counselor. She is married to Michael, a veteran of Operation Iraqi Freedom, and has three sons. She resides in Central Virginia. Seven weeks of teaching and insights for every battle. Practical wisdom taken from real battlefield stories. Reflections on God’s word for the trials of each day. Military family members and civilians from all walks of life have expressed their appreciation for the powerful biblical lessons shared in a brief, practical, and interesting style. The Personal Reflection Guide contains simple questions for every day of the journey that helps you move from simply reading the passage to critically considering how its truths apply to you. 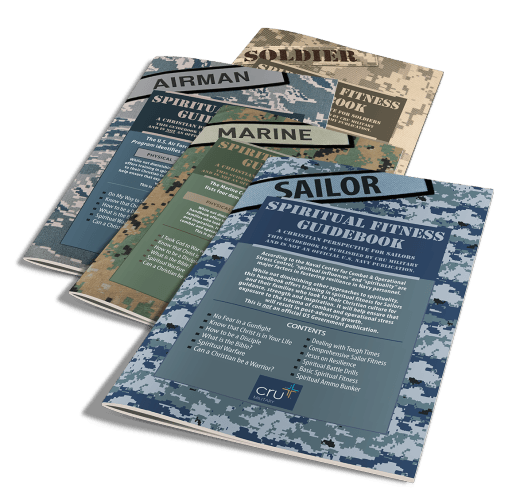 This printable electronic file is available to both Chaplains and servicemen and women, and is an especially good tool when you lack access to the Military E100 website or are unable to receive a daily E100 email. *SPECIAL DISCOUNT* Save 40% off if you purchase more than six at a time. E-mail Gene Eble at Gene.Eble@moody.edu to obtain the discount. The highly anticipated sequel to award-winning Faith Deployed: Daily Encouragement for Military Wives. You want the flare of your faith to burn as intensely as a fire on the battlefield. That means digging into God’s truth regardless of the chaos raging around you. These devotions are written by a man who had considered war something that someone else always did, and was then himself deployed to Iraq as a company commander. From the frontlines of the blackest days and in the face of inexplicable suffering, you’ll discover the heart of the question, “Why, God?” and its often unsettling answer. Because in war, as in contemporary America , reality involves struggle, trial, and triumph. Let God meet you in the midst of life’s nonsense to find the peace that is a crucial part of His impeccable plan. Why, God? War screams the same questions whispered in everyday life. The battlefield explodes with the same tenacity of emotions that wretch our souls. Smoke fills the air just as doubt clouds our minds. Are you on the frontlines of war overseas? Or perhaps your battle is personal, deep within. These devotions, penned by Captain Chris Plekenpol while on the battlefield in Iraq, expose the depths of inexplicable suffering as well as the heights of incredible victory in God. Through every adversity and in any circumstance, you will find a still voice reminding you of God’s sovereignty…in war and peace. A Soldier's Journal: Stories of triumph and tragedy in the midst of battle. 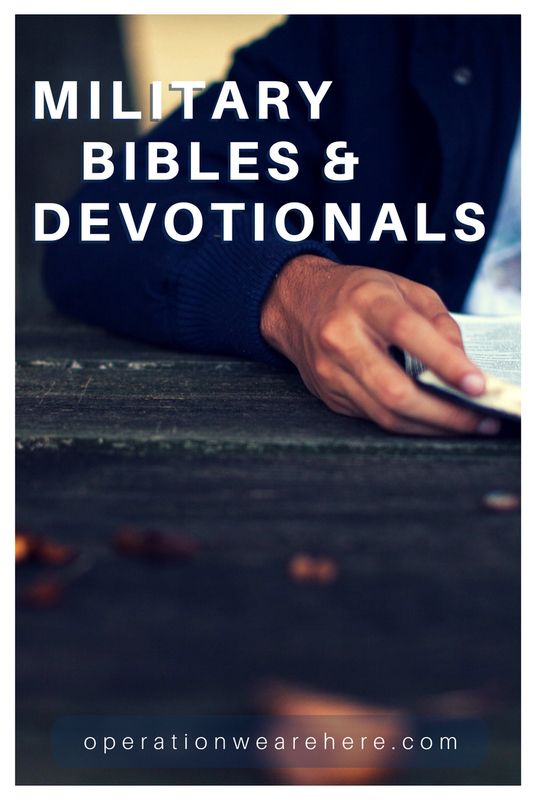 A compilation of inspiring devotionals that use life and combat situations to bring God's word to life. This new NIV Bible, developed specifically for military families, points to our greater hope beyond all personal and political battles. Study notes will help you explore the unfolding drama of God's story, summarized in five acts. Includes a dictionary/concordance. Front and back there are testimonies by military wives who share their real life, “rubber meets the road,” personal testimonies of how God walked with them through the fire. In the middle is the easy-to-read New International Version of the Holy Bible. 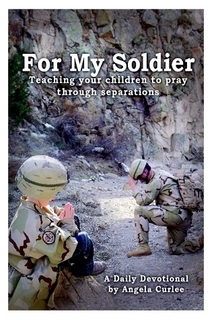 For my Soldier is a daily devotional for parents and children of military families. Separations from military family members can cause children stress that comes out in sleeplessness, behavioral problems, and depression. God has given us his word to guide us through these times and ease these issues. The word of the Lord has so much to offer on saftey, protection, loneliness, and peace. Teaching a child to turn to the Lord and pray through hard times is the best gift we can give them as parents. I pray that you and your children will be blessed by this book! Enjoy the daily activities as they help keep your child and soldier united during separations. According to Isaiah 40:28, God created the ends of the earth. What a coincidence! That’s where you’re going! At least it’s where you may think you are going if you’re getting ready to move. The good news is: God will go with you. He has promised to, and, better yet, He’s gone ahead of you. He created the place after all—wherever it is! This is the message of Home Is Where God Sends You, a daily devotional for women who are moving that encourages them to cling to Christ’s constancy in the midst of dramatic change. Women who move frequently can begin to lose hold of the roots and long-term relationships that help bring stability and support to both spiritual and family life. These women must discover unique ways to hold firm to their faith and identity in the midst of constant change. Home Is Where God Sends You encourages them to trust God daily as they adjust to new surroundings. As they read daily devotionals corresponding to the many phases of a move, they’ll learn how to find contentment by claiming God’s presence as home wherever they go. Home Is Where God Sends You encourages them to trust God daily as they adjust to new surroundings. As they read daily devotionals corresponding to the many phases of a move, they’ll learn how to find contentment by claiming God’s presence as home wherever they go. 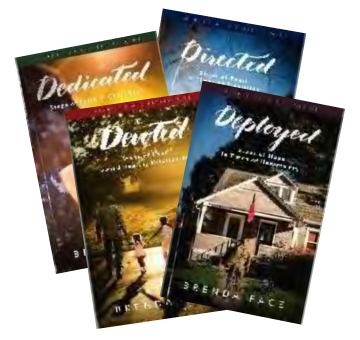 A devotional series written by Dr. Brenda Pace for military wives. Journey online through Bible stories that shed timeless – and practical – truth on issues you will encounter in a life of military service. Deployment, separation, reintegration, relocation, or many other situations, these studies will point you to the Lord for direction, help, and encouragement. 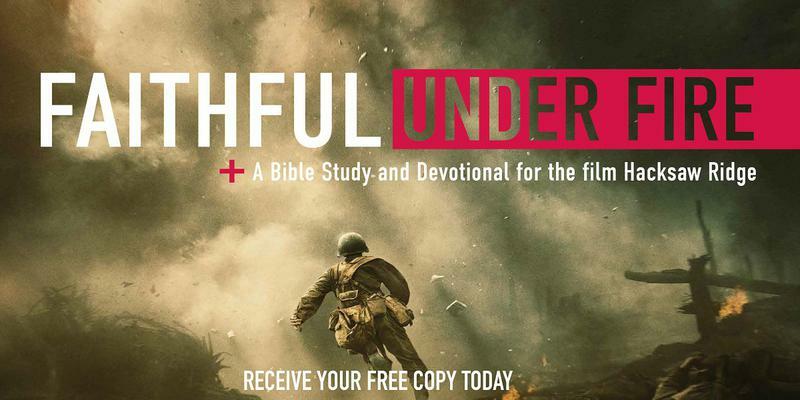 A new 50+ day devotional that uses military terms as focus concepts to communicate Biblical truth in a connective and accessible way. Written by a career military chaplain with Special Forces experience, it guides the reader to connect Biblical truth with the challenges of the military experience. Adapted by military veterans for military personnel, the Military Edition of OnTrack Devotions is designed to develop the skill and discipline of effective daily devotions by teaching the building blocks of inductive Bible study, building invaluable skill for a lifetime of personal spiritual growth. What is it? The Military Edition of OnTrack is a 12-month study through the New Testament and Proverbs written for today's military personnel. The included User Guide walks the reader through the basics of inductive Bible Study (Observation, Interpretation, Application, Implementation), allowing them to start at their current skill level and work to develop skill while diving into the meat of the Word of God. 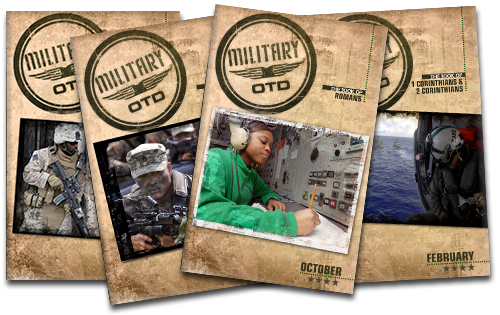 Whether you are a Chaplain looking for resources for your unit, a church with active duty military personnel or a soldier that needs a field-ready devotional guide, MOTD fits the bill. Dive into the heart of the warrior king, David, a man after God’s own heart, with this 2-month walk through the book of Psalms. From victories to failures, from struggle to confidence, David engages conversation with God in the ups and downs of a warrior’s life poetically. The first month covers Psalms 1-75. The second month covers Psalms 76-150, including the well-know Psalm 91. While the content is a change of pace from the original 12-month Military Devotional, this study uses the same inductive Bible study format. ​When your husband serves in the military, you're required to sacrifice as well, adding a level of strain to everyday life that most people can't understand. Frequent moves, unpredictable schedules, extended deployments, reintegration---and, in some cases, caregiving---all make a military spouse like you hungry for the stability and peace found in God's Word. This special New Testament with Psalms and Proverbs is designed to address your unique needs, hopes, fears, struggles, and insecurities. And since no one can speak to you as you journey through this unique situation like someone who has gone through it, this New Testament with Psalms and Proverbs includes 90 special devotions written by military wives and edited by Jocelyn Green, a former military wife who actively ministers to women in your situation. Let her words of help and hope, alongside God's Word, encourage you as you serve our country in your own way. 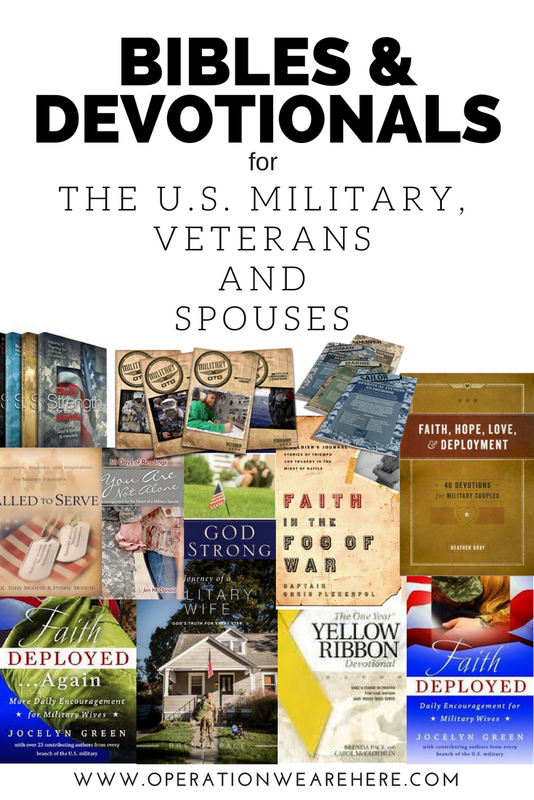 Containing the New International Version (NIV) New Testament, additional devotional articles prepared for military families brings peace to those who live with the ones who serve in the armed forces. Topics include: Hope, anger, fear, loneliness, marriage, sorrow, suffering, weariness. Also includes book overviews, and "The Big Picture of the Bible." A wonderful little booklet filled with promises and prayers from the Bible. Scripture promises and prayers are categorized by topic, some of which include: Armor of God, Guidance, Joy, Relationships, Stress, Worry, etc. You will be taken through Psalm 91 verse-by-verse, unfolding the promises of protection from God. While there are other promises of protection found throughout the Bible, Psalm 91 is the only place in the Word where all of them are brought together in one collection. Along with the author’s in-depth teaching, this book is full of heart-wrenching testimonies from servicemen who have seen firsthand God’s protective hand. Testimonies include those who survived a Nazi prison camp and have endured the turbulent times while fighting recently in Iraq, as well as a story from legendary author Corrie Ten Boom. Come and understand God’s protection and become inspired and encouraged from those who have seen His protection firsthand. We will remember that the Lord has not made us to fear but to have power, love, and a sound mind. 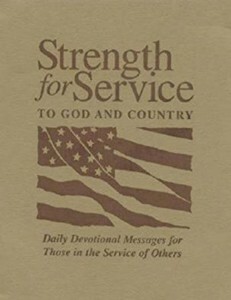 Strength for Service is the devotional written specifically for those in service of others. First published in 1942, the volume went out of print in the 1950s as armed forces personnel returned home. Fifty years later, Boy Scout Evan Hunsberger discovered his grandfather’s well worn copy of the book and made an Eagle Scout project out of seeing the volume republished. Today, the revised book has been distributed to 300,000 service personnel of many denominations. Your help is needed to share this inspiring devotional with thousands more. Whether serving on the front lines in Iraq or caring for the wounded stateside, U.S. military personnel around the world need Strength for Service. While her only son prepared to join the Army, Carol Channer began to scour stores for a book on the subject of sending a child off to war. 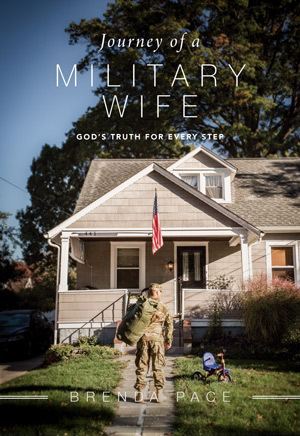 Finding none, she began journaling her own feelings, fears, and frustrations, as the Lord began to plant an idea within her spirit to pen a devotional book aimed directly at the heart of our military families. Strength for Today While My Soldier Is Away is a compilation of thoughts, reflections, poetry, Scripture, and prayers intended to move the reader away from worry and fear; redirecting their attention to the wonderful provisional grace of the Lord. The special features include: The Seven Principles of Leadership, Leadership Prayers and military prayers by military chaplains, The Sinner’s Prayer by Billy Graham, Military Hymns, Leadership Creeds, Leadership Core Values, the Military Code of Conduct, The Covenant and the Code of Ethics for Chaplains of the Armed Forces, Leadership Quotes, A Guide to Leadership Scriptures, Presidential Quotes, and a section on Biblical Archaeology. This unique devotional addresses faith, family, and freedom. It includes personal life stories from the author as well as 33 stories from Medal of Honor recipients and ex-POWs. Part of their stories are told in the inspiring companion DVD, Those Who Serve…VALOR and PRISONERS OF HOPE, which is included on the inside cover of this book. Most of the author’s stories connect military history, and examples of military insignia from many different conflicts and wars, to a pertinent scripture with a biblical reference. 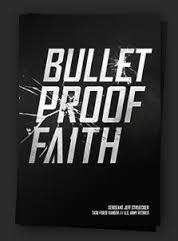 Also included are the lyrics from patriotic and faith-based songs. Two of the sections in this book include advice for life and stories of American heroes who served in harm’s way. These individuals offer practical and spiritual wisdom for life. Much of their wisdom was forged during combat and in the burning fire of adversity, pain, suffering, sorrow, sadness, and death. Jeff Struecker was a sergeant during the battle in Mogadishu made famous by the book and movie "Black Hawk Down." This is the story of his courage and faith. Available free of charge. The military isn’t just a profession. It’s a way of life—sometimes an all-consuming way of life. So how does a Christian, who is called to live whole-heartedly for God, mesh life in Christ with life in the military? Is it possible to live a consistent, obedient, godly life while complying with the military’s many requirements? The answer is yes, and In His Service serves as a guide. Designed as a lifelong handbook—from the first day of basic training through an entire enlistment or career—In His Service is a comprehensive resource to equip all warriors from all branches for service to country and to God. Winning strategies for the battles you face every day. The demands of military life can be staggering. Soldiers, sailors, airmen, and Marines face pressures and temptations that civilians will never know. Fortunately, here is help from someone who has been there. Written for both men and women, this powerful book confronts these and other issues head-on, offering hope, encouragement, and practical guidance for every day you serve On the Frontline. Whether on the battlefield or in the board room, the home front, or the highways of life... We are all Warriors! Resilient Warriors describes the realities of this lifelong fight, and provides relevant, enduring principles of resilience for warriors in every foxhole of life. Our military, as well as those in every other marketplace across this land, need resilience like never before. Resilient Warriors provides urgently needed information and inspiration to help us all recover from the wounds of the past, weather the storms of the present, and build resilience for the future challenges of life and liberty we will most certainly face. God made you to be each of these…and much more. Stu Weber ’s bestseller paints a dramatic and compelling picture of balanced manhood according to God’s vision. Written in a warm, personal style, Weber presents the characteristics of tender warriors— including learning to speak the language of women, watching out for what lies ahead, and keeping commitments—in an upfront, straightforward style that challenges readers to realize God’s plan for men. America’s military men and women serving our country around the world are facing challenges unique to their personal and family situations. TouchPoints For Those Who Serve offers biblical counsel and encouragement on questions relevant to their lifestyle such as: Where do I get the courage to go on? Why is a sense of duty an important character trait? How do I demonstrate integrity? What are the qualities of a good leader? Touchpoints For Those Who Serve puts God’s answers to their most pressing questions right at their fingertips with words of encouragement, inspiration, and Bible promises on over 100 alphabetically-arranged topics on a wide range of issues relevant to any military person, of any rank. Each section starts with a question, then is exclusively answered with Scriptures, and ends with a biblical promise. Walking Point takes warriors on a 39-week journey of individual and group training. It is series of studies designed to help active duty military and veterans equip themselves spiritually. Faith Comes By Hearing offers an Audio Bible ministry with God's Word in more than 550 languages & growing. Free streaming & downloads on our site. Check out www.Bible.is for a FREE Bible app. E100 for Service Members and Chaplains: If you are an Active duty, Reserve, or National Guard Servicemember or Chaplain, this is your place to engage God’s Word. Here you will find on-line resources that will enable you to read through or listen to essential passages in the Bible, all while tracking your progress. Chaplains have access to sermon outlines, small group studies and other great tools. E100 for Women: Are you the spouse of an Active duty, Reserve, or National Guard Servicemember or a women’s ministry leader? If yes, then a special E100 journey has been customized just for you. With this application, you can sign up for online journeys, subscribe to email encouragements and gain access to great audio Scripture content. The American Bible Society has FREE Scripture resources available to all military service members, veterans, and family members - including shipping! This also includes the E100 Catholic Military Bible (NABRE). 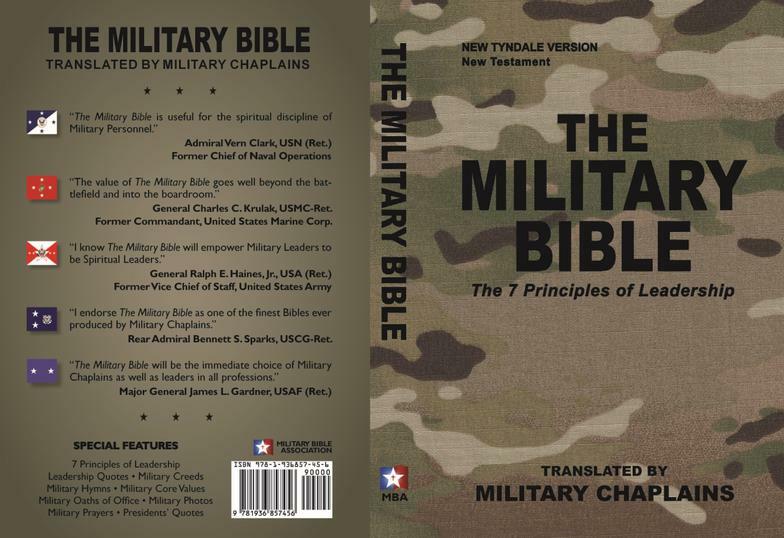 Military chaplains can request free NLT camo covered Bibles for the service members they serve. There is an edition for every military branch including a pink camo homefront edition. The Military BibleStick comes pre-loaded with the entire New Testament. It is rugged enough to withstand tough weather conditions, can be used in low-light situations, and it easily fits into uniform pockets. The Military BibleStick is bringing comfort and hope to Soldiers, Sailors, Airmen, and Marines. Support our Troops with God's Word in Audio today! God’s Word for all those Seeking Strength - Due to the generosity of our amazing donors, the American Bible Society is able to offer FREE Scripture resources to all military members and veterans — including shipping! The FRONTLINE FAITH™ Project delivers compact MP3 players preloaded with spiritual content, especially as it pertains to military service, to members of our armed forces currently deployed or returning from deployment, with special emphasis on injured troops and troops stationed in Iraq or Afghanistan. The FRONTLINE FAITH Players include an audio rendition of the Mass; various homilies; prayers just for those serving, including a recitation of the Rosary; Christian music; prayers from children; and testimonies from soldiers about the struggles and victories of their faith journeys. There are more than 300,000 Catholic troops currently serving in the U.S. Armed Forces. Our goal is to provide an MP3 player to each and every one of those service men and women as well as their families. Initial distribution for the players targets injured troops in military hospitals and wounded transition units and troops currently deployed or preparing for deployment. Distribution of the players has been arranged through the assistance of the Archbishop for the Military Services and the 281 military chaplain/priests serving his archdiocese throughout the world. Welcome to Excellent or Praiseworthy, a devotional site for military marriages. It is our goal to minister to you and to help you think about things which will refresh and comfort you during this time of war. We want you to have hope! Mike and Linda Montgomery are the founders and managing editors of Excellent or Praiseworthy. While researching for their HomeBuilders Bible study Making Your Marriage Deployment Ready, they recognized the need for an online devotional blog just for military couples. So on September 11, 2007, ExcellentorPraiseworthy.org was born! God Understands booklets address the eight spiritual Injuries that have been identified by VA chaplains. They were written for VA chaplains but military chaplains also find them useful for counseling and for having them on hand for troops to pick up on their own. You can view the content of each booklet (website link above) as well as listen and download audio readings of four of the booklets. This site can also be opened from an iPhone or an Android, which is a great place to listen to the booklets. Gain access to free Bible studies and devotionals designed for military personnel, veterans and their families. Track your progress, record personal insights and share your thoughts, comments and prayer requests. Interact with groups and invite others to read with you as you take the Bible Challenge.